This book aims to encourage a more reflective, multidisciplinary approach to public safety, and the 'reenfranchisement' of those affected by this new phenomenon. Over the past decade health and safety has become a major issue of public interest. There are countless stories of health and safety activities interfering with public life, preventing some beneficial activity from taking place - even creating absurd or dangerous situations. On the one hand, risk assessment, properly conducted, is highly beneficial - it save lives and prevents injuries. But on the other, it can damage public life. Why has this come about, and does it have to be like that? The authors examine the origins of the problem, look critically at the tools used by safety assessors and their underlying assumptions, and consider important differences between public life and industry (where the approaches largely originated). They illuminate the whole with an analysis of legal requirements, attitudes of stakeholders, and recent research on risk perception and decision making. 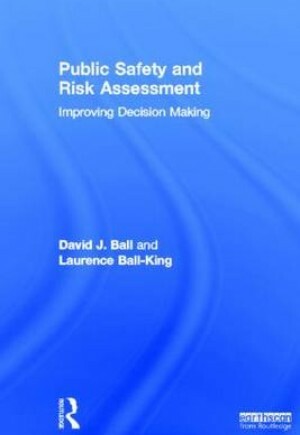 The result is a profound and important analysis of risk and safety culture and a framework for managing public safety more effectively.